[H]e brought up Karl Marx. “The longer I spend on Wall Street, the more convinced I am that Marx was right,” he said. I didn’t hide my astonishment. We had both studied economics during the early eighties at Oxford where most of our teachers agreed with Keynes that Marx’s economic theories were “complicated hocus-pocus” and Communism was “an insult to our intelligence.”… Nevertheless, I decided that if my host, with all his experience of global finance, reckoned Marx had something worthwhile to say, perhaps it was time to take a look. Cassidy decided to do a crash course in Marx that summer. He picked up copies of the German Ideology, the Communist Manifesto, and Capital, and a collection of Marx’s selected writings edited by David McLellan, all of which he studied during his vacation, also “nibbling” at the Eighteenth Brumaire of Louis Bonaparte and Theories of Surplus Value. He then wrote up his conclusions in his New Yorker article. He made it clear that he didn’t swallow Marx whole, declaring straight out: “In one way, Marx’s efforts were a failure. His mathematical model for the economy, which depended on the idea that labor is the source of all value, was riven with internal inconsistencies and is rarely studied today.” We were then told that the new Principles of Economics textbook by the Harvard economist N. Gregory Mankiw mentioned Marx on just one of its 800 or so pages, and that Marx lacked a lot of the mechanical models — production functions, game theory — that peppered neoclassical textbooks. Marx was not very useful, Cassidy surmised, in answering the everyday issues of price determination, while his underlying method was flawed. Nevertheless, Cassidy went on to point to an array of unrivaled insights Marx had into the capitalist economy, including: the conflict of wage labor and capital, the centrality of accumulation (“Accumulate, accumulate! That is Moses and the Prophets!” as Marx put it), the business cycle, the reserve army of labor, monopolization, globalization, increasing inequality (called “the immiseration thesis” by Marx’s critics), the expansion of finance, the class character of the state, and more. One would think that Cassidy might have concluded that there must have been something to say in the end for Marx’s core method, relying on the labor theory of value as the means of understanding capital’s inner logic. But instead his readers were led to believe that although Marx got the big picture on capitalism mostly right, he did so with the wrong method. In contrast, orthodox economics largely missed the big picture on capitalism, but had the right method. As Cassidy was reading the Communist Manifesto, the 1997–98 Asian financial crisis was heating up. Shortly after, in the first year of the new millennium, the dot-com bubble burst. And seven years later, in 2007, the Great Financial Crisis began, lasting into 2009 and shaking the entire world economy. The subsequent weakening of the financialization process — which for years had been lifting the capitalist economy — produced a new normal of seemingly endless stagnation. Economic growth is weak both in the core of the system and in the world economy as a whole (though a few economies, notably China, have shown themselves to be relatively immune to the economic setback). Workers in most of the world have experienced a worsening of their conditions, a change often summed up with the word “precarity.” All of this has sparked a resurgence in interest in Marx’s critique of political economy, and in Marxian theories of monopoly, stagnation, and financialization. The years since the Great Financial Crisis have thus seen a dramatic upsurge in Marxian political economy. The increasing focus on financialization facilitated the rediscovery of the classical value-form theory by thinkers such as Michael Heinrich, the author of An Introduction to the Three Volumes of Karl Marx’s Capital, highlighting the monetary relations that were at the very foundations of Marx’s analysis in Capital, vol. 1. This in turn contributed to the development of the macro-monetary interpretation of Marx’s economic analysis in Fred Mosely’s Money and Totality and in the work of Riccardo Bellofiore. The result has been nothing less than a revolutionary breakthrough regarding the so-called “transformation problem,” once regarded as the Achilles’ heel of Marx’s economics. The old Bortkiewicz-Sweezy solution to the transformation problem, on the relation of value to price in the Marxian scheme, is now seen in this new interpretation as something of a blind alley that failed to perceive the full extent of Marx’s revolutionary break with David Ricardo’s political economy and indeed with all forms of bourgeois economics — both classical and neoclassical. So important are these new developments that they bear directly on the statement of Cassidy’s friend, quoted above, where he said: “There is a Nobel Prize waiting for the economist who resurrects Marx and puts it all together into a coherent model.” Such a “Nobel Prize” (really the Swedish Central Bank’s Prize in Economic Sciences in Memory of Alfred Nobel — not an actual Nobel Prize) could well be given to such theorists as Heinrich, Moseley, and Bellofiore for putting Marx’s value theory into a more coherent model — that is, if the so-called “Nobel Prize” in economics were not controlled by an exclusive right-wing club. The same could also be said about some of the other greats of contemporary Marxian political economy: Samir Amin, Paul Burkett, C. P. Chandrasekhar, François Chesnais, Gérard Duménil, Diane Elson, Ben Fine, Duncan Foley, Jayati Ghosh, Joseph Halevi, David Harvey, Makoto Itoh, Costas Lapavitsas, Prabhat Patnaik, Alfredo Saad-Filho, Anwar Shaikh, John Smith, Jan Toporowski, Immanuel Wallerstein, Richard Wolff, and Michael Yates — the list could easily be extended. What is abundantly clear is that we are currently in the midst of a new great age of Marxian critique. In fact, the ongoing revolution in Marxian thought is much wider than even the economic-centered remarks above would suggest. 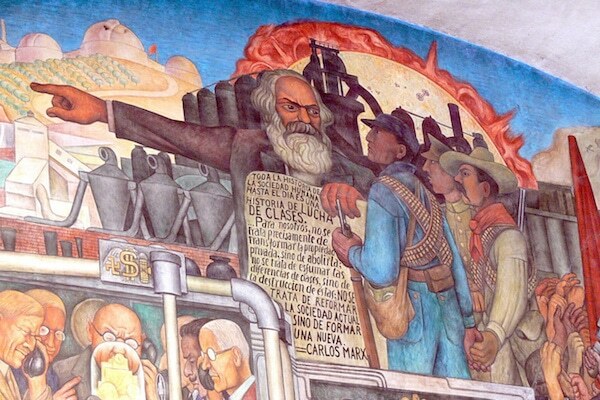 Marx was much more than merely a political economist, of course, and his work has long reverberated throughout the social sciences and humanities, penetrated into the natural sciences, and shaped modern revolutionary politics. The renaissance in Marxian thought today similarly stretches across a wide range of fields. Particularly noteworthy in recent years are the converging historical-materialist critiques in “ecology” (by ecosocialists building on Marx’s theory of ecological crisis, or the “metabolic rift”), gender (in the form of the new social-reproduction theory), and race (in pioneering historical-materialist treatments of racial capitalism) — all of which are increasingly focused on the complex interplay between expropriation and exploitation, which sets the parameters for capitalism as a whole. It is no mere accident that these latest theoretical developments are closely attuned to actual movements with respect to gender, race, and the environment on the logical-historical boundaries of the system (outside the capitalist exploitation process itself) where much of the struggle in the neoliberal age is to be found. Today, what most characterizes developments in Marxian theory is the recognition of Marx’s open-ended critique of capitalism, requiring that we struggle once more to probe into the historically specific system of capital accumulation at its deepest level — not simply to understand it, but in order to transcend it.